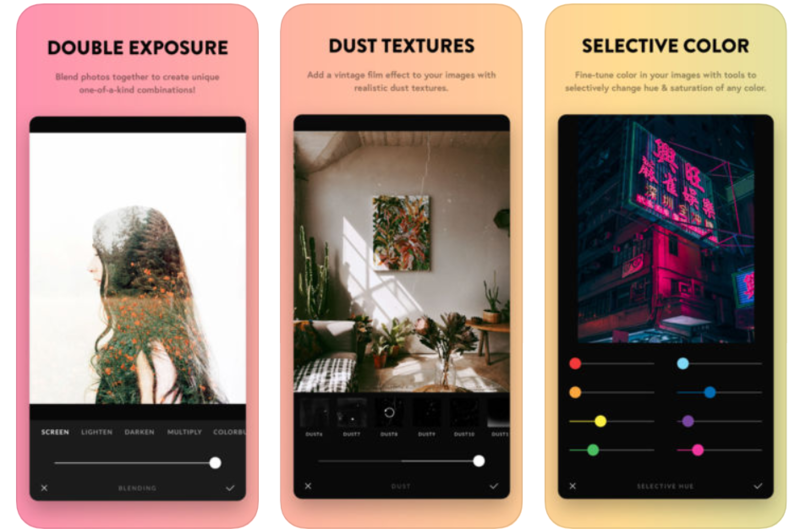 Snapseed is available on both iOS and Android and offers professional level photo editing tools that’s super easy to use. With an extensive range of editing options and filters, you can truly transform your photographs and give them a much more polished and professional look. With lens blur, HDR, healing, glamour glow, double exposure, face enhance and much more, there’s no limit to your editing skills. VSCO is almost a social media platform in itself; not just a photo editing app, it lets users join a community and connect with other photographers. If you search #VSCO in Instagram, you’ll see a huge community of people using the app. VSCO features a built in camera and offers a wide range of filters and advanced controls, including saturation, highlights, temperature and vignette. There’s also the option to buy filter packs each with their own distinctive style. Providing a lightweight adaptation of the desktop version, Adobe Photoshop Lightroom provides advanced editing functionality for those who have a real zest for photography. The app has a built in camera which lets you control Shutter Speed, White Balance and ISO. Along with preset filters, the app comes with enough tools for you to change near enough every single detail in an image. And afterwards, you can have both your originals and edits backed up to the cloud so you can easily share and showcase your photos. Afterlight 2 is a full-featured photo editing app for quick and straightforward editing. Create unique photos with features like light leaks, double-exposure and ‘dust’. You can even add text, artwork and frames to your images. There’s also a regularly updated list of high quality filter packs created by loved photographers. No subscription and no in-app purchases. Camera+Legacy helps you use your iPhone to shoot the best photos you possibly can. With features like Clarity, which analyses your photos and makes several intelligent adjustments that magically bring out details and breathes life into full photos, you’ll be amazed at how easy it is to transform your photos. Ready to put these apps to the test? Happy snapping!